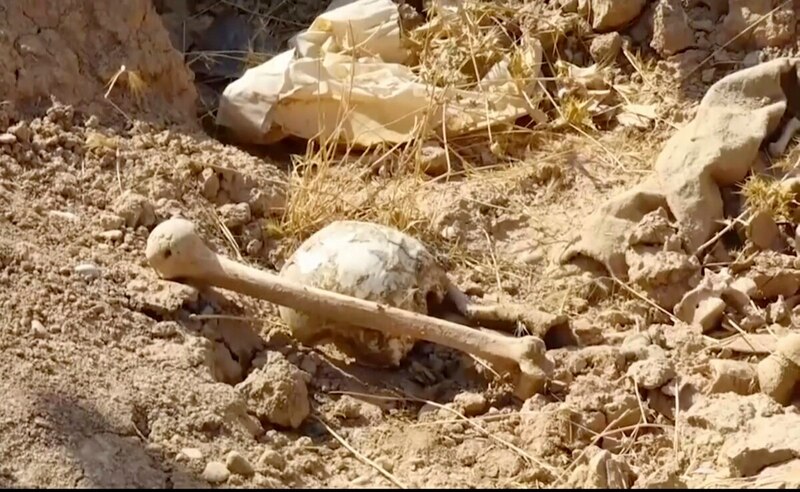 The bodies of civilians and security forces were found in an abandoned base near Hawija, a northern town retaken in early October, Kirkuk governor Rakan Saed said. He didn’t say when authorities will start exhuming the bodies from the mass graves. On Saturday, Iraq’s Prime Minister announced an operation to capture a patch of territory on the western edge of the country near the border with Syria. Hours later, Iraqi Defense Ministry announced capturing Romana area, saying the troops will head to nearby town of Rawa. According to Ahmed al-Asadi, a spokesman for the Shiite-majority paramilitary forces, Rawa is the last Iraqi town held by ISIS who still control some scattered small villages in mainly desert areas.